Please join us at the The Safety Cafe! Registration is free, and it's a great place to chat about safety, ask questions, share ideas etc. 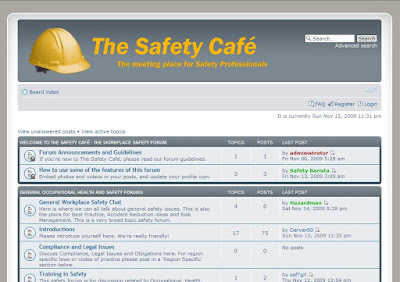 A really friendly place to talk safety, so please introduce yourself in the 'Introduction' section. Here is a screen shot below. Click on it to be taken straight to the Safety Forum!